What To Look For When Choosing European Appliances? If you are someone who has always looked for the best of the best when it comes to your kitchen, you will quickly realise that European appliances represent some of the best deals around. While you might be paying a little more in terms of initial cost, you will find that in general, you are looking at refrigerators, stoves and ovens that are simply worth the money! When you are considering buying appliances, the first thing that you need to consider is how long the item will last. While you might be startled to pay as much as you are expected to, you will find that if you take into account the fact that the item will last for ten to twenty years, you are certainly going to get your money’s worth! An electrical appliance is not something that you pay for every few years. Ideally, you want your items to last you a lifetime! Another thing for you to consider when you are looking at European appliances is what kind of support they have. Some people find that the support or lack of it means that they should look elsewhere, but the truth is that there are plenty of appliance firms that stand by their merchandise. Look for a company which has a great support line that can be accessed 24 hours a day. This is something that can make it much easier for you to decide to trust a European manufacturer. Take a moment to think about your home and what kind of appliances you want in it. In the case of European appliances, you are looking at items that have withstood the test of time and which have a very, very long record of reliability and excellent service. 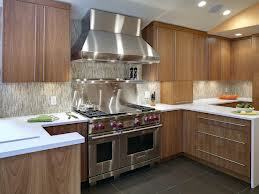 Consider what experience you want in your kitchen and move forward with high expectations.